Steamboat Storage - Self Storage in Steamboat Springs, Colorado. Welcome to SteamboatStorage.com managed by Central Park Management. We have been providing the Yampa Valley with clean, secure, affordable self storage since 1980. Between Steamboat Springs, Milner, Oak Creek, Hayden and Craig, Colorado we offer the largest , cleanest, and best selection of self-storage and mobile storage in Northwest Colorado. Give us a call and let our professional and friendly staff help assist you with finding the storage space that best fits your needs and budget. 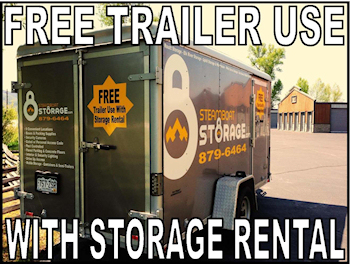 SPRING IS HERE!SIGN UP FOR STORAGE TODAY AND RECEIVE A FREE LOCK!